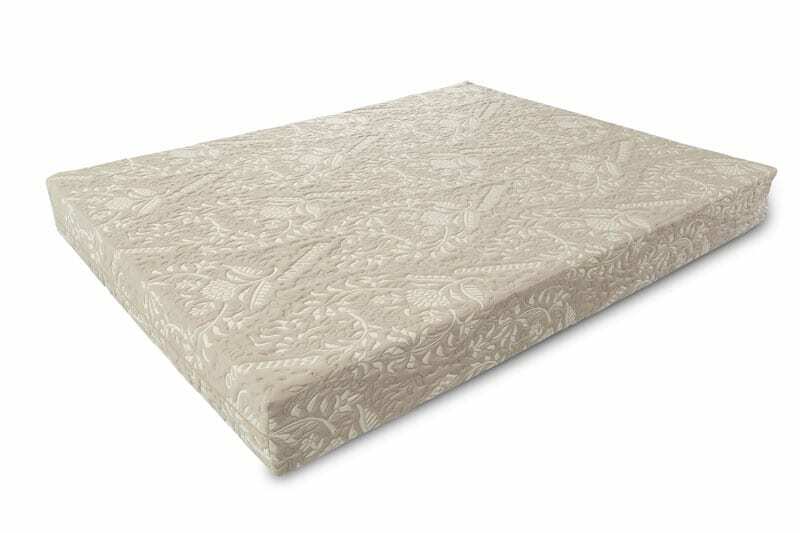 Once you’ve made the decision to purchase a foam product such as a mattress, topper or cushion instead of other available options, there are quite a few factors to consider that will ensure you end up with the best support you need. Some of the technical language you will hear relate to density and ILD ratings. ILD stands for indentation load deflection, which really just means, how firm is the foam? The higher the ILD, the firmer the foam is going to be. Density is the weight of one cubic foot of foam and is one of the best indicators of quality. Heavier foams are generally better quality. Together, ILD and density will provide the necessary information on the overall make up and quality of foam, not to mention, your knowledge of these terms will show salespeople you know what you’re talking about! Deciding on the type of foam is going to be your next challenge. The more popular kinds of foam are polyurethane (poly), latex, memory and memory gel. Poly or latex are considered non-memory foams and are elastic, meaning that when you get up, they will bounce back quickly and return to their original shape. Poly is the most common foam and offers the largest selections. Poly compresses under pressure, and as a result, it can hold up your heavier parts effectively. All grades of poly can be made in softer or firmer ILDs, but lower grades of poly are less resilient, meaning they will break down quicker. One benefit of poly foam is that it tends to have more consistency than other types of foam. Another option with poly is a high resiliency (HR) foam, which is made with extra additives to ensure the resilience and elasticity lasts for a longer period of time. Some brands of poly are made from eco-friendly products such as soy. Be sure to ask what the percentage is, though, because many products that advertise to be eco-friendly only have small percentages of these materials. 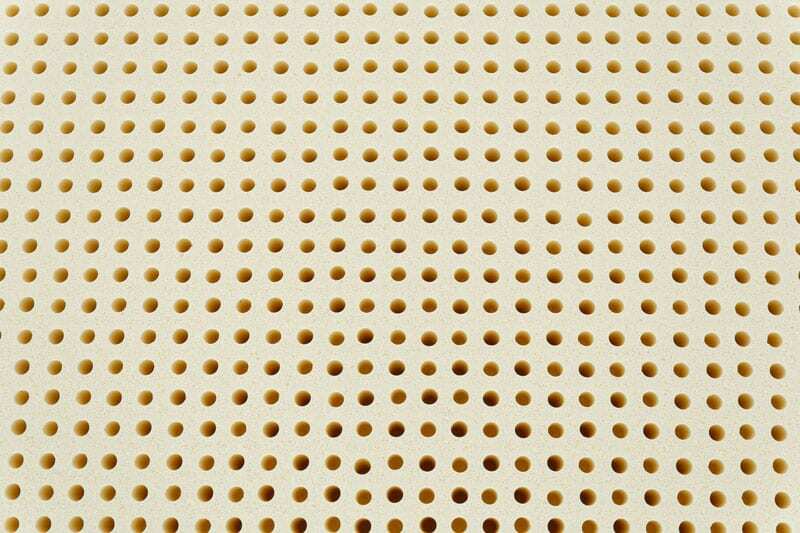 Latex foams come in two different types: Talalay and Dunlop. 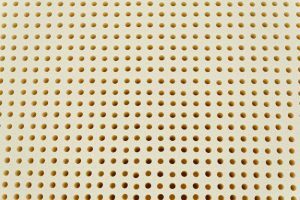 Talalay Latexs are quite often partially synthetic and come in a variety of firmnesses. Dunlop is more often all natural and tends to be more dense and rubbery than Talalay. Dunlops are optimal for mattress cores, while Talalay is nice for comfort layers closer to the surface. Talalay latex is often more consistent than Dunlop due to the manufacturing process. Often people choose natural latex, which is manufactured from the milk of rubber trees, because it is known as a resilient, durable, clean and supportive material that can be more hypo-allergenic than other selections. That being said, synthetic blend latexes outlast natural latex. Memory foam, also known as visco-elastic foam because of the combination of viscosity and slower elasticity; (it has a very slow push back). It basically pushes away from your body and will return to its original shape, which is why when you get up you often still see an indent of where you were sleeping. An advantage of memory foam is its ability to relieve pressure by cradling the body because it’s softer and compresses easier. 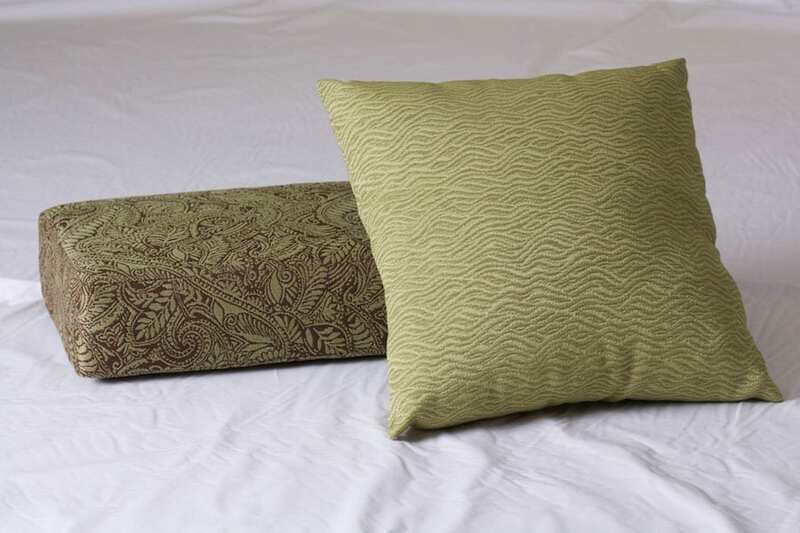 Memory foam does tend to retain heat, hence a good choice for sleepers who like to stay warm! With memory foam, an important consideration is a good support layer underneath it. 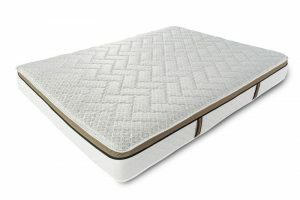 In recent years, memory foam has been highly marketed, but be aware that it might not be the best choice for everyone. Gel memory foam is one of the newer foams on the market. Similar to traditional memory foam, gel memory foam has been infused with gel or gel beads, which means less “foam creep” for your mattress. What this means is that gel gives your mattress more consistency and prevents you from sinking too deeply into the mattress. Gel memory foam might be better for individuals who don’t like to be too hot at night, because the gel allows more airflow, making it cooler to sleep on than traditional memory foam. Some people like the idea of a gel memory foam topper for their mattress, instead of having their entire mattress made of this material. That leads to the next step. In addition to your considerations on what type of foam to buy for your mattress or cushion, there are choices on the type of mattress topper. At the Sleep Boutique, we believe that the top comfort layer, or topper, should always be separately purchased. This is because when a mattress can be flipped, the foam wears equally from both sides, and as a result, has a longer life. We have a number of different mattress toppers to suit a wide variety of personal preferences. Our topper materials include individual and combinations of Talalay latex, memory foam (5-8 lb), memory gel foam (4 lb), and poly foam (1.5-3 lb). Please note, we tend to use Talalay most often at the Sleep Boutique, but Dunlop works just as well depending on your preference. If you are looking to buy foam for cushions, 2 lb foam will usually be sufficient, but 2.8 HR foam is a good alternative for longevity. For mattresses, the minimum densities that we would recommend are 1.5lb for poly, 4 lb or higher for memory gel, 5 lb for regular memory foam and 3 lbs plus for most latex foams. In summary, there are a lot of choices when it comes to foam and it may seem a daunting task, but the team at the Sleep Boutique is here to help! Give us a call or stop in to discuss your needs for a custom made mattress within your budget.